Rated 4.6 out of 5 based on 17 reviews. 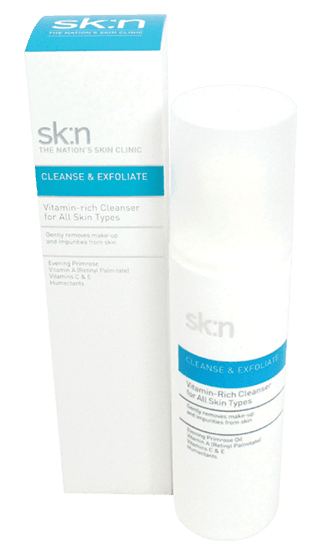 sk:n Vitamin-Rich Cleanser for all skin types is fortified with age fighting vitamins and antioxidants to gently remove make-up and impurities. The skin is left cleansed and purified and in perfect condition for further skincare products. Cleansing is the first step of a daily skin care routine in order to remove surface-only skin cells, environmental dirt and make-up, without over drying the skin. Aqua, Paraffinum Liquidum, Glycerin, Isopropyl Palmitate, Phenoxyethanol, Lauryl Glucoside, Acrylates/C10-30 Alkyl Acrylate Crosspolymer, Parfum, Sodium Hydroxide, Allantoin, Disodium ETA, Ethylhexylglycerin, Panthenol, Tocopherol, Oenothera Biennis (Evening Primrose) Oil,Sodium Ascorbyl Phosphate, Biosaccharide Gum-1, Tocopheryl Acetate, Retinyl Palmitate. Apply the cleanser to cotton wool or a cleansing brush. Wipe the skin gentyl and wash off with water. My all time favourite! I have been using it for a long time now and just bought it again! I loveeeeeeee this cleanser. Smells amazing, unlike other brands which leave an awful feeling on your skin. THis has to be the best cleanser on the market. 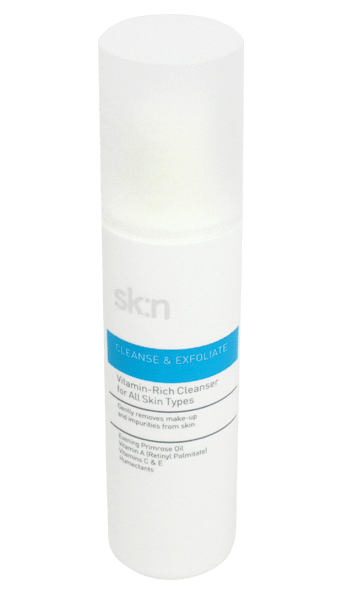 This cleanser is very good and appropriate for dry skin. It does not over-dry my skin.